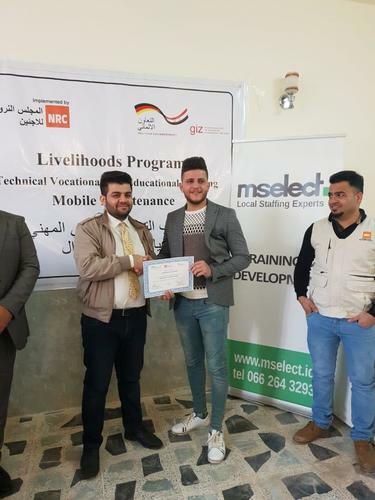 MSELECT Academy recently completed a Technical Vocational Skills & Educational Training (TVET) Program initiated by the Norwegian Refugee Council and funded by GIZ-Iraq. 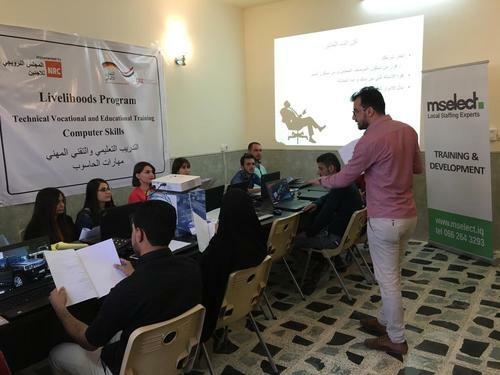 The academy successfully trained over 100 beneficiaries on Mobile Maintenance and Computer & IT Vocational Skills from Bartilla and Qaraqoosh areas of Nineveh governorate, Iraq. The training started September 2018 and ended on January 2019, achieving a student success test score of 86% and 96% rating of 'extremely beneficial'. We were proud to see that a number of mobile maintenance students opened phone repair shops before the course was completed. MSELECT constructed fully equipped laboratories; each student was provided with a personal laptop for the computer course. For the Mobile Maintenance, each trainee had access to a full set of maintenance equipment used during the training. The TVET program composed of a total of four training courses, two for computer skills & IT and two for mobile maintenance; each training course lasted 44 working days for 20 male and female IDP community members. The program aimed to equip the community members with requisite vocational skills to be closer to achieving self-sustenance; either by making use of their newly acquired skills to work and build a carrier, or by starting their own mobile and computer repair outlets. The Norwegian Refugee Council (NRC) assists internally displaced Iraqis (IDPs), refugees, and host communities in Nineveh, Duhok, Erbil, Salah Al-Din, Kirkuk, Baghdad, Sulaymaniyah and Anbar. They focus on assisting the newly displaced, those in lengthy displacement in camps and those in hard-to-reach places. NRC has also been providing Soft and Vocational Training to these Vulnerable Community Members to facilitate their return the regions workforce and improve livelihood of these war effected areas. 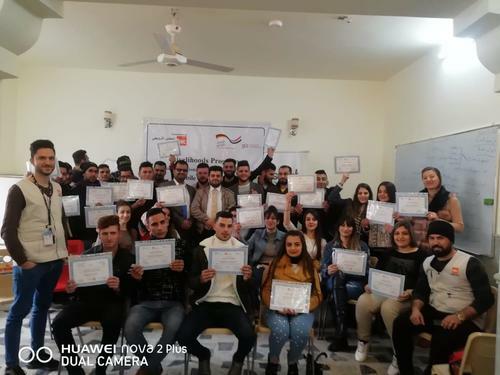 MSELECT’s Training and Development department was established in 2012 to build capacity in the local Kurdish and Iraqi workforce and provide enhanced skills in order to ensure their success in the workplace.